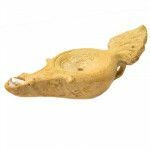 This is an Early Bronze Age oil lamp (3330-2300 B.C.) 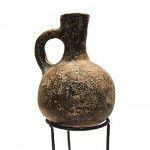 with a four spouted design that was common in this period as the oil lamp was transitioning further away from a generic pottery bowl. 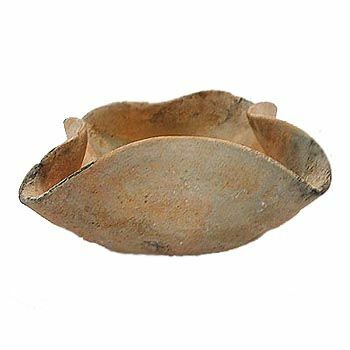 This is an Intermediate Bronze (EBIV/MBI) oil lamp with a four spouted design that was common in this period as the oil lamp was transitioning further away from a generic pottery bowl.